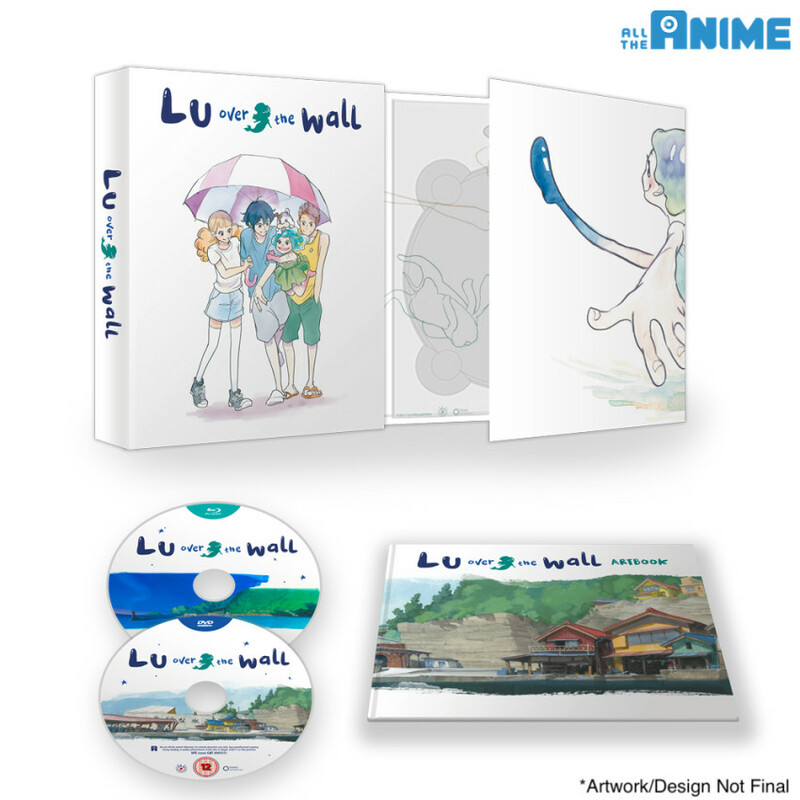 “Lu Over the Wall” Home Video Release Details. Coming to Blu-ray and DVD on 16th July 2018. Recently we gave you the low down on what to expect from our upcoming release of the film Night is Short, Walk On Girl, a film directed by Masaaki Yuasa. Today – as promised at our MCM London Comic Con panel on Friday – we’re excited to tell you about our plans for another of his recent works, Lu Over the Wall, which you may remember we screened in cinemas late last year. 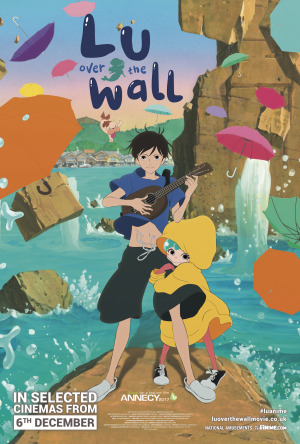 Director Masaaki Yuasa delivers a colourful and striking tale of the power of love, friendship and music in this fun-filled family film. Synopsis: After the divorce of his parents sees him move to a sleepy rural village, middle school student Kai is left lonely and bored aside from his sole passion for creating and uploading music online. Even when two of his classmates invite him to join their fledgling band, Kai is reluctant to get involved, but when he’s dragged to a practice session on a deserted island he finds himself coming face-to-face with Hinashi Town’s most feared legend – a mermaid, shunned by the populace as a siren of despair responsible for the loss of many fisherman in years gone by. However, the fun-loving and curious Lu couldn’t be more different than the mermaids spoken of in legend, and her infectious love of music and dancing might just be the key to not only unlocking Kai’s heart, but also saving Hinashi Town from danger. WHAT DO YOU HAVE PLANNED FOR THE HOME VIDEO RELEASE? The first thing you need to know is that the film be getting released on 16th July 2018. There will be a Ltd Collector’s Edition Blu-ray+DVD set (pictured below), and there will also be standard Blu-ray and standard DVD versions available the same day too. On the discs themselves you can watch the film with both the English dub and original Japanese audio with English subtitles (both audio options being in 5.1). There’s also trailers for the film and a 28 minute interview with director Masaaki Yuasa about the film included as extras on the discs. Cast & Characters: which showcases some wonderful art of the many characters you see in the film and even includes some background information on the some of the Japanese voice actors too. Interviews: we have two interviews to bring you! The first being with the director of the film, Masaaki Yuasa – a different interview from the one that’s on the bonus on the disc, and then we have an interview with two producers on the film, Eunyoung Choi and Yuka Okuyasu. Both make for great reading and we know you’ll get a kick out of them! As you can tell from above, there’s a lot packed into this release! And that wraps up this preview of what to expect for our release of Lu Over the Wall. We hope you’re looking forward to adding this lovely film to your collection. Let us know what you think of it!